Note: This book tour has already been completed. Please be in touch if you’re interested in inviting me to speak this fall (2013). My email address is pamolson (@) gmail.com, and I’m based in New York City. You’re welcome to subscribe to this blog if you’d like timely updates about future events. Just click the “Yes, please!” button to the left. This is the official schedule for my spring 2013 book tour. You can learn more about the book here and view ways to purchase it here. 2-4pm — Join the Facebook event! 6:30pm — Join the Facebook event! Here, re-posted by permission, is Prof. Richard Falk’s incredibly kind review of Fast Times in Palestine — the first review of Fast Times in its new incarnation as a published book. It was originally posted on Prof. Falk’s delightful, humane, and intelligent blog, Citizen Pilgrimage. 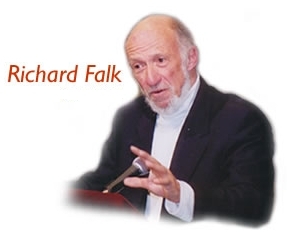 Prof. Falk is the UN Special Rapporteur on Human Rights in the Palestinian Territories and professor emeritus of international law at Princeton, among other august positions and accomplishments, and he started his blog in part as a celebration of his 80th birthday. Early on, she acknowledges her lack of background with refreshing honesty: “Green and wide-eyed, I wandered into the Holy Land, an empty vessel.” But don’t be fooled. 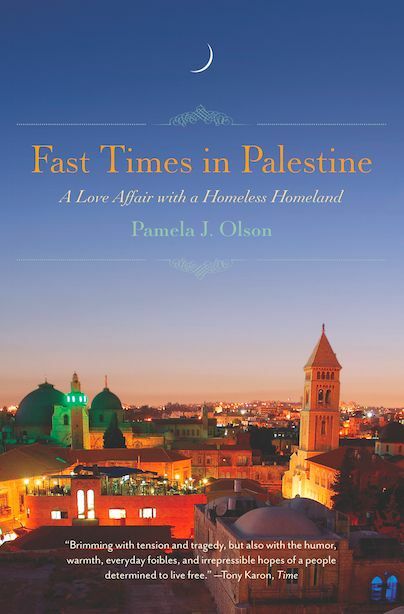 Olson, who had recently graduated from Stanford, almost immediately dives deeply into the daily experience of Palestine and Palestinians, with luminous insight and a sensibility honed on an anvil of tenderness, truthfulness, and a readiness for adventure and romance. Upon crossing the border that separates Israel from the West Bank, enduring routine yet frightening difficulties at the checkpoint, she find herself in the Palestinian village of Jayyous, not far from the Palestinian city of Jenin. Her first surprise is the welcoming warmth of the villagers whose hospitality makes her feel almost as if she is on a homecoming visit to Stigler, the small town in eastern Oklahoma where she grew up. Almost at once Olson finds herself in the midst of a social circle in Jayyous that harvests olives during the day and sits together on porches in the evening puffing on a nargila (water pipe) and conversing about the world. Yet the book is sensitive to the tragic experiences of both peoples. Through the whole of her experience, Olson remains open to her Israeli friend, Dan, as well as to a Christian appreciation of the Holy Land, not as a believer but as someone whose identity was formed in a religiously Christian community. Early on in the book, when she tells Dan how disturbed she is by the occupation, he reminds her of Israeli grief and distress. Dan’s words: “Last year there was a suicide bombing practically every week, it was… unbelievable. The mall we went to yesterday was bombed last year. Three weeks ago a suicide bomber killed twenty people in a restaurant in Haifa. Just innocent people having a meal.” Olson’s response is characteristically empathetic: “I sighed and looked out over the water. What I had seen in the West Bank was terrible, but there was another side to the story, after all. I tried to imagine the horror of people sitting around having a meal, and then all of a sudden—” But in the end it becomes clear that Israel’s human rights violations have, if anything, a negative impact on Israeli security. In the end what gives the book its special value is the compelling credibility of her “love affair with a homeless homeland,” a sub-title that says it all! It is one thing to lament the suffering and humiliation of the Palestinians or to condemn the cruelty and harshness of the Israeli occupation. It is quite another to be able to observe these defining realities and yet see beyond to a proud and gracious people with a generous sense of humor who manage to live as vibrantly as possible even under almost unimaginable circumstances of oppression. It is this combination of feeling the Palestinian hurt while celebrating the warmth and genuineness of the Palestinian embrace that allows a reader to achieve what I had previously thought impossible without an immersion in the place itself. The book can be pre-ordered from Amazon. It will be available in mid-March.